Can't make it to the spa today? Bring the SPA to your home! My favorite part of a spa treatment is the pampering and how my skin feels afterwards. 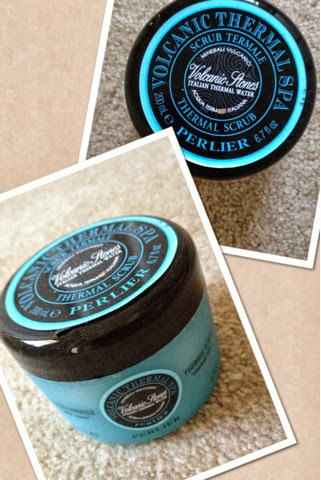 Perlier's Volcanic Thermal Spa Thermo Renewing Scrubis amazing and BLUE that just exfoliates your dead-skin cells away. After first use, I noticed a remarkable difference- dry, rough patches gone, especially near my feet as I've been wearing sandals forever! What I love about its natural mineral particles is that its various sizes is gentle enough for sloughing. There's been no issues with using it so far except getting great results afterwards! Give your skin a Booost with Seventh Generation!